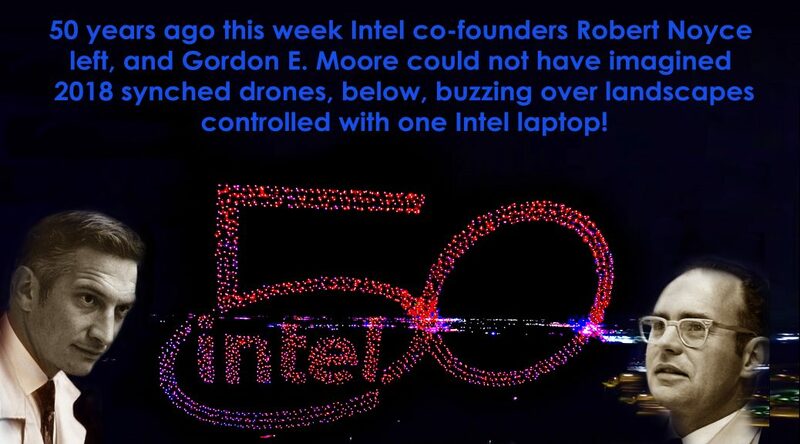 Happy 50th Intel! 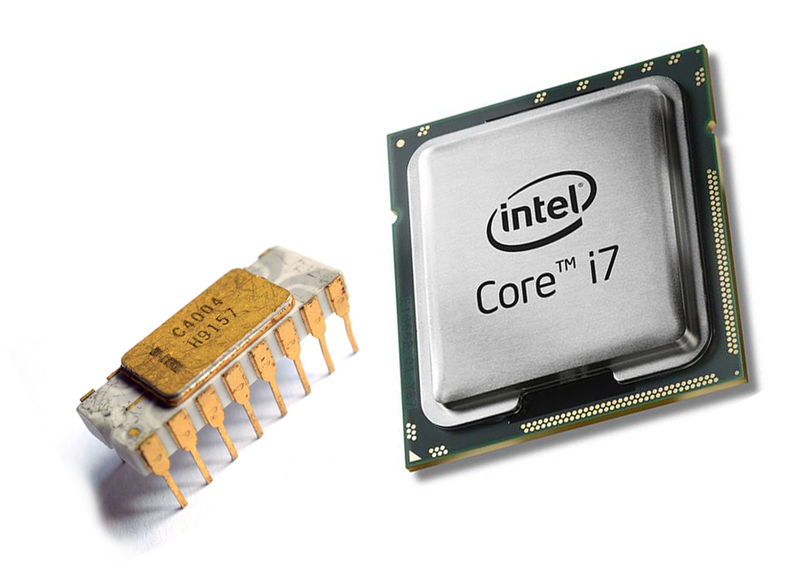 What a ride its been since the company’s first processor, the Intel 4004 is a 4-bit central processing unit (CPU) released by Intel Corporation in 1971. It was designed for calculator types of devices. Sporting 2,300 transistors buzzing along at 740KHz it pales in comparison with today’s chips.